Stressed the German Initiative "Watch what your kids are doing Balmedia" Parents should not allow their child to watch moving images on television or other means of media before it is in its third year, where attributed the German initiative to the fact that children under this age are still in the process of realization the real world existing around them and often can not process and absorb what they see in the mass media properly, pointing out that it is permissible for these children only listen to audio books or children's songs, as published by the German news agency. And demanded that the German Initiative parents, when the child exceeds three years and starts watching these means, the need to accompany him at this time, stressing the need to choose things that are appropriate to the stage of age free of ads such as films and soap operas or programs for children. She initiative that tales of clear and direct that include meaningful and positive move by the images quietly and is characterized by language understandable for the child and crowned with a happy ending fit dramatically with children at this age; because it usually armchair young children what they see on the screen in a realistic and very real in all senses. And showed how this initiative is that it is usually motivated child during viewing is paid to move and sing with the watch or laugh with him; then it can cause events watched by the child in the disturbed and provoke anger or sadness depending on the context. 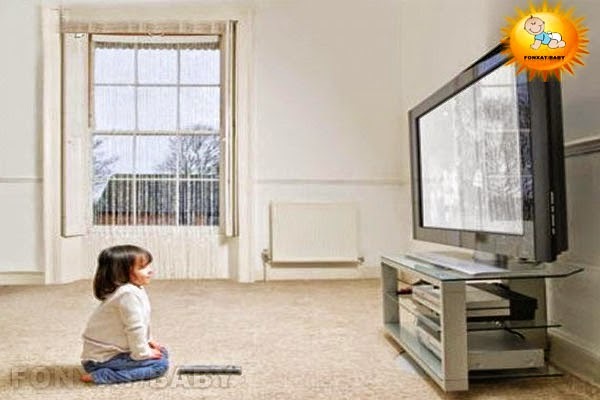 Because watching movies on television or other means of media has a significant impact on the child; therefore recommended initiative parents need to identify a certain period to view; then it can provide an opportunity for a child to deal with all what he sees in his mind and return to the state of relaxation and calm again. For this reason, warned the German Initiative of watching television or other means of media before going to bed directly; where not available to the child in this case an opportunity to address what he saw of events, saying that it is better to read the parents for their child one of the entertaining stories instead of viewing such means . German initiative stressed the need to not exceed the rate of adults watch children 3 years of the means of media for 10 to 20 minutes a day, pointing out that this period may be increased among children aged between 4 and 5 years to half an hour a day.